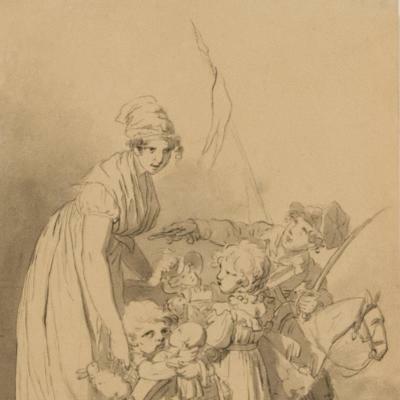 Boilly, a gifted portraiture artist and draftsman, produced a large number of genre paintings of the French middle class. Boilly, a gifted portraiture artist and draftsman, produced a large number of genre paintings of the French middle class. His small-scale drawings and paintings served as social chronicles of his time. 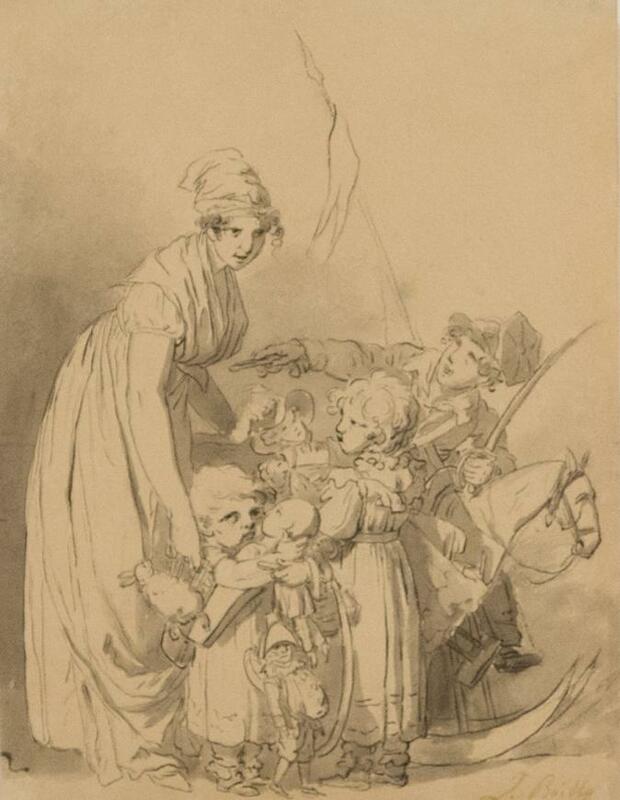 In this drawing, he depicts children receiving toys on New Year’s Day, a celebration of the holiday. In France, the New Year was usually celebrated with a feast and a large fête, meant to bring good luck in the coming year. 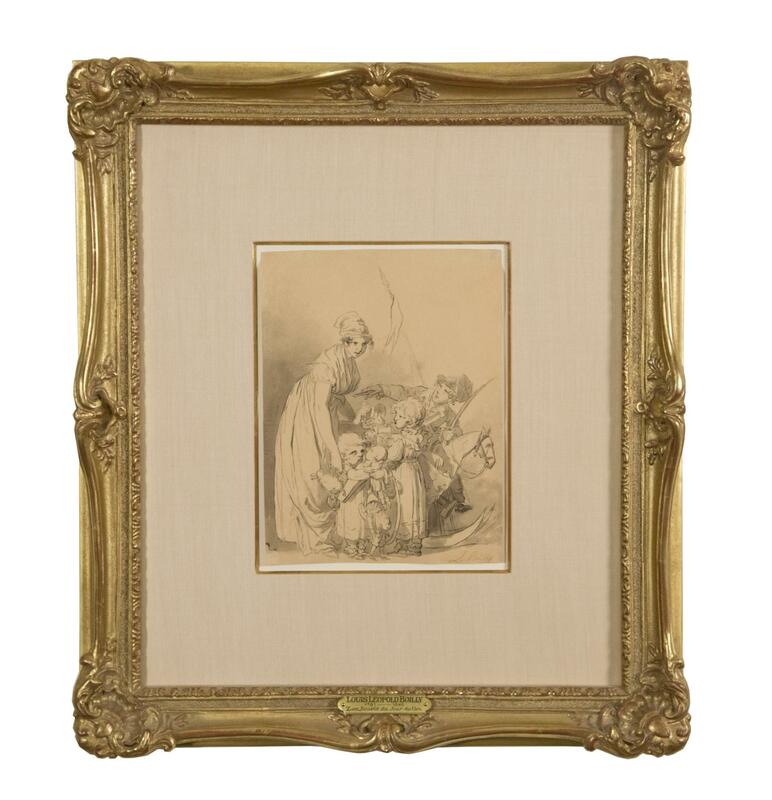 Please notify me when works by Louis-Leopold Boilly become available.